1. INTRODUCTION. 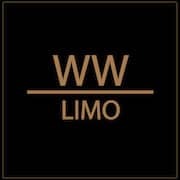 WWLIMO.com connects you with car service and limousine companies for services they fulfill in your requested area. Reservations are possible through wwlimo.com or via our Call center. Upon visiting the Site, you have the option of requesting a quote or booking online with the option of opening a customer account. 2. SERVICES. Our commitment is to provide with a positive experience. Upon entering your ride information and the type of transportation service you are seeking, we will find the most qualified affiliate in your area to offer you the best service at the best price thanks to our negotiated rates. Although we take certain steps to examine the credentials of our affiliate limousine companies, we make no guarantees or representations regarding the skills or representations of such limousine companies or the quality of the service that each company may perform for you if you elect to retain their services. 3. SERVICES DISPUTES AND RESOLUTIONS. * Our affiliate limousine companies are not employees or agents of ours, nor are we an agent of the limousine companies. We do not perform, and will not be responsible for, any of the services requested by you in your service request. The applicable federal, state, provincial and/or local laws shall govern your rights. Should you have a dispute or claim for damages with, you must address such dispute with the limousine company performing the service directly. YOU HEREBY AGREE TO RELEASE WWLIMO (AND OUR OFFICERS, DIRECTORS, AFFILIATES, EMPLOYEES AND AGENTS) AND ANY OTHER PERSON, FIRM, OR ENTITY (INCLUDING OUR BUSINESS PARTNERS SUCH AS A PRODUCT MANUFACTURER OR SUPPLIER WHO MAY EMPLOY THE COMPANY’S SERVICES) FROM ANY DAMAGES OR CLAIMS (INCLUDING CONSEQUENTIAL AND INCIDENTAL DAMAGES) OF EVERY KIND OR NATURE, SUSPECTED AND UNSUSPECTED, KNOWN AND UNKNOWN, AND DISCLOSED OR UNDISCLOSED, ARISING OUT OF OR IN ANY WAY CONNECTED WITH SUCH DISPUTES AND YOUR DEALINGS WITH LIMOUSINE COMPANIES. * Booking through the Site or Call Center. While we have no legal obligation, if you book directly through the Site, we have developed a resolution process to try and assist you in resolving any problems that may arise during the course of limousine service(s) you booked through us. You must participate and use good faith efforts to resolve problems through the Company resolution process. You must also provide accurate and complete contact information in order for us to assist you, post booking. Failure to provide accurate information could mean we are unable to assist you in resolving a dispute, post booking.. Such limited assistance provided by us will in no way void or nullify the release and indemnification described in the Terms. 4. It is common practice for limousine companies to farm-out limousine services to other limousine companies. In the event that the limousine company you selected chooses to farm out your ride, WWLIMO.com is not responsible and/or liable for any 3rd party claims. Therefore, when you book a ride, you HEREBY AGREE TO RELEASE WWLIMO (AND OUR OFFICERS, DIRECTORS, AFFILIATES, EMPLOYEES AND AGENTS) AND ANY OTHER PERSON, FIRM, OR ENTITY (INCLUDING OUR BUSINESS PARTNERS SUCH AS A PRODUCT MANUFACTURER OR SUPPLIER WHO MAY EMPLOY THE COMPANY’S SERVICES) FROM ANY DAMAGES OR CLAIMS (INCLUDING CONSEQUENTIAL AND INCIDENTAL DAMAGES) OF EVERY KIND OR NATURE, SUSPECTED AND UNSUSPECTED, KNOWN AND UNKNOWN, AND DISCLOSED OR UNDISCLOSED, ARISING OUT OF OR IN ANY WAY CONNECTED WITH THE ACTIONS OR INACTIONS OF THE FARMED OUT RIDE LIMOUSINE SERVICE PROVIDERS. 5. WWLIMO does not make any representations or warranties that members are appropriately licensed, free of significant state-level civil legal judgments, or carry appropriate automobile, general liability, and indemnity insurance or bonding at the time of registration, during the period they are members, or thereafter. As circumstances can change daily, WWLIMO advises consumers to check these matters for themselves especially at future dates. WWLIMO does not represent or warrant that the information received from state, provincial or other government agencies or from third party sources is accurate, error free, or that it is up to date or updated at the time that Company checks such information. Most agencies have periodic update cycles or schedules and this information is not updated on a real-time basis by such agencies and third party sources. 6. WARRANTY. You acknowledge and agree that the Services are provided to you on an “AS IS” basis without any warranty whatsoever, and your sole and exclusive remedy, and WWLIMO’s sole obligation to you or any third party for any claim arising out of your use of the Services or the Sites, is that you are free to discontinue your use of the Services or the Sites at any time. EXCEPT AS EXPRESSLY SET FORTH HEREIN, WWLIMO EXPRESSLY DISCLAIMS ANY IMPLIED WARRANTIES OF ANY KIND, INCLUDING, BUT NOT LIMITED TO, WARRANTIES OF MERCHANTABILITY OR FITNESS FOR A PARTICULAR PURPOSE, AND YOU AGREE THAT WWLIMO SHALL HAVE NO LIABILITY FOR DIRECT, INDIRECT, SPECIAL, INCIDENTAL, CONSEQUENTIAL (INCLUDING LOST PROFIT), EXEMPLARY OR PUNITIVE DAMAGES (EVEN IF WWLIMO HAS BEEN ADVISED OF THE POSSIBILITY OF SUCH DAMAGES) ARISING OUT OF THIS AGREEMENT OR ANY CONSEQUENCES WHICH FLOW FROM IT. SOME STATES AND PROVINCES DO NOT ALLOW LIMITATIONS ON OR EXCLUSION OF INCIDENTAL OR CONSEQUENTIAL DAMAGES. IN SUCH STATES AND PROVINCES, THE ABOVE EXCLUSIONS MAY NOT APPLY TO YOU. Grace periods are determined by the pickup location and start at the scheduled pickup time. If the grace period finishes and the customer has not arrived, a charge of $1/minute in wait time fees will apply. *Flights can be especially unpredictable. We ask for flight information to track flights and help you avoid wait time fees. When the grace period has passed, we will attempt to contact you several times. If we haven’t heard from you, we will cancel the ride 60 minutes after the grace period has ended and the wait time incurred plus any other applicable charge will apply. Cancellation fees are based on pickup location and the time the reservation is cancelled. Minimum notice periods (time before the scheduled pickup time) is 5 hours. Any change to a reservation that occurs without the minimum notice period set forth in the reservation email will be deemed to be a cancellation of the original reservation and will result in the imposition of the applicable cancellation fee. We reserve the right to charge the entire fare in advance at the time the reservation is made. In the event of a cancellation, we reserve the right to withhold that portion of the fare not charged as a cancellation fee for a period of up to 60 days following the date of the scheduled service date. Tolls are calculated using the best/fastest route determined by our system. If a toll route was not taken during the ride, then you will not be charged for the toll. You are also responsible for roundtrip tolls of the driver, both to and from the passenger pick-up and drop-off locations. Tolls are charged at the completion of the ride and they are charged based on the actual route taken at the local toll rate. They are only incurred by the passenger on the one way route to the drop-off location (exception made for NY trips, click the link below for NY trips policy). Tolls are subject to changes set forth by the toll authorities and may be adjusted without notice.